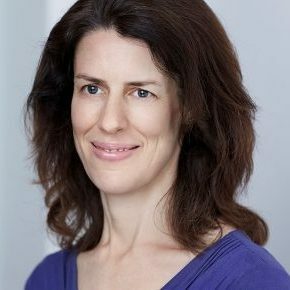 Samantha Knights is a barrister at Matrix, specialising in immigration and asylum law, public law and commercial law. She has also worked on a number of civil liberty cases against the Russian and Georgian governments before the European Court of Human Rights in Strasbourg. For Samantha, her BA in History led first to a stint as a journalist for an English language newspaper based in Tallinn, Estonia, coupled with some freelancing for UK and US papers. She was asked by the paper to go to an ex-Soviet prison on the outskirts of Tallinn to interview a number of Iraqi refugees. The detainees ended up there after being cheated by traffickers and dumped on the shores of Estonia instead of Sweden, where they had understood they were being taken. Samantha interviewed other relevant people including the Minister for Home Affairs and prison officers, but no one seemed to have any answers to questions about what was to be done for the refugees and when they might be released. They had no access to lawyers and it seemed a hopeless situation, but it prompted her to move into the legal profession, an interest which had been slowly brewing for some time. First, the Russian connection: both Somerville and Samantha’s Tutor, Barbara Harvey, were incredibly supportive of her interest in Russian language and history and funded weekly language lessons. Secondly, the pursuit of international affairs, cold war politics and the impact of colonisation and decolonisation on the developing world in her history degree formed a necessary background to her interest in international law and civil liberties. Thirdly, and perhaps most importantly, she felt that the College imparted a sense of confidence that Somervillians should strive to do something which might, in whatever small way, contribute to the public good. Samantha’s work at the bar is predominantly focused on domestic litigation, in the tribunals and higher courts. But she also works for the European Human Rights Advocacy Centre (EHRAC), assisting lawyers based in Russia and the former Soviet Union who are bringing cases against respective governments for violations of individual rights. EHRAC is currently working on around 280 Russian and Georgian cases at the European Court of Human Rights. These cases concern, among others, extrajudicial executions, disappearance, ethnic discrimination, environmental pollution, torture and criminal justice. In 2011, Samantha visited Georgia where she met a number of the applicants who are mostly recognised as internally displaced persons (IDPs) and who have been re-housed by the Georgian government. Unfortunately for applicants before the Strasbourg courts, the waiting times for decisions on cases runs to many years and in practical terms can scarcely be seen as providing an effective means of redress. However, the reality of litigating cases through the Russian courts is such that, in a very large number of cases involving human rights abuses, there is no prospect of any form of effective remedy at the domestic level. It is a stark reminder of the importance of the rule of law and independence of judiciary which we enjoy in the UK.